Previous Post: « Relax, For the Love of Your Brain Cells, Relax! What a great quote! I’ve never heard that before and I believe that’s so true. 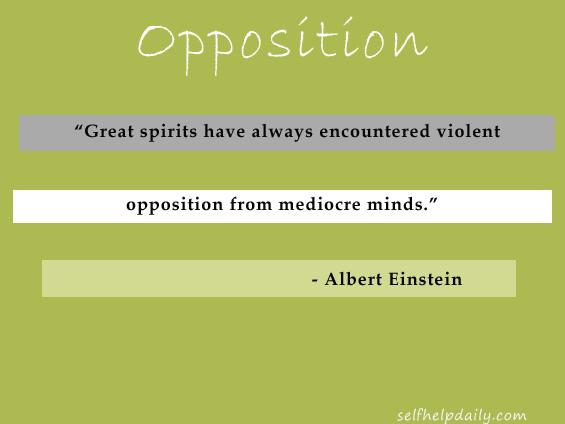 It’s amazing how much opposition people who have become great have had to deal with.